Sisters with Stuff: Kids Bowl Free All Summer Long! 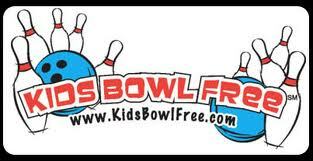 Register now for Kids Bowl Free, each registered child gets 2 Free games of bowling everyday all summer long. Click on the map to find a participating bowling center in your town, all the details are at KidsBowlFree.com.